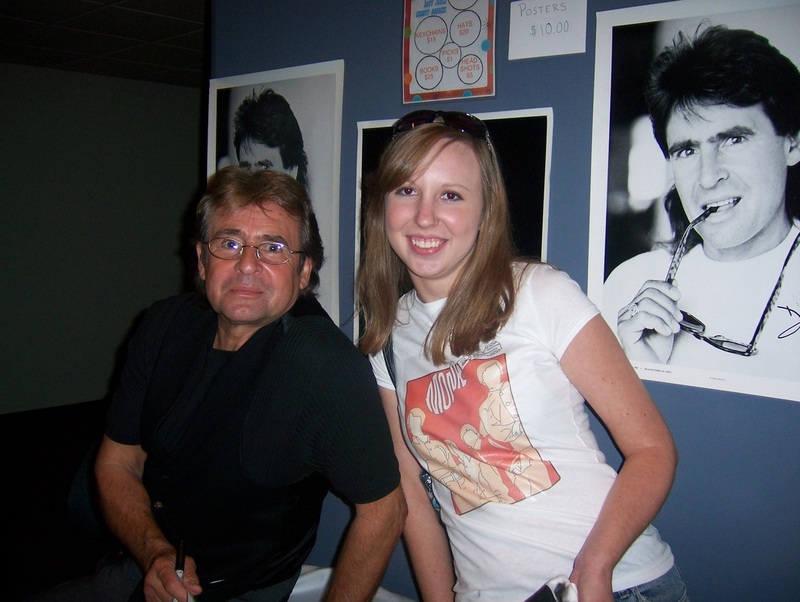 My name is Becca and that's me with Davy- best day ever! 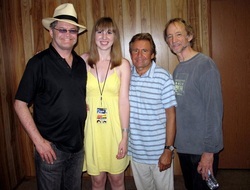 My mom was a Monkees fan in the 60s, my sister came along for the reunion tour in the 80s, and I was there for the 97 tour and have my tickets for June 8, 2011! (Dad likes them too, but as he's gone through the craze with mom, my sister, and now me, he just lets us carry on.) I learned to love the Monkees as a little kid, listening to their records with my sister- Steppin' Stone was my favorite. In middle school, when all the girls got crushes on Leonardo DiCaprio and the Backstreet Boys, I had pictures of the Monkees all over my notebooks. My "future career prediction" in our school paper was "most likely to organize a Monkees reunion." And you should have seen my room! It was covered in Monkees memorabilia! I've collected a good bit over the years, some new stuff and some old stuff, I'll try to post some photos for you to see. My mom and I saw the Monkees in concert in 1997 and have since been to see Davy in concert twice. So there you have it, a flower child born just a few decades late! We now have a new Monkees fan in the family! Our little boy was born in March and loves to dance to Monkees tunes with momma! It was 1997 and Monkeemania all over again! 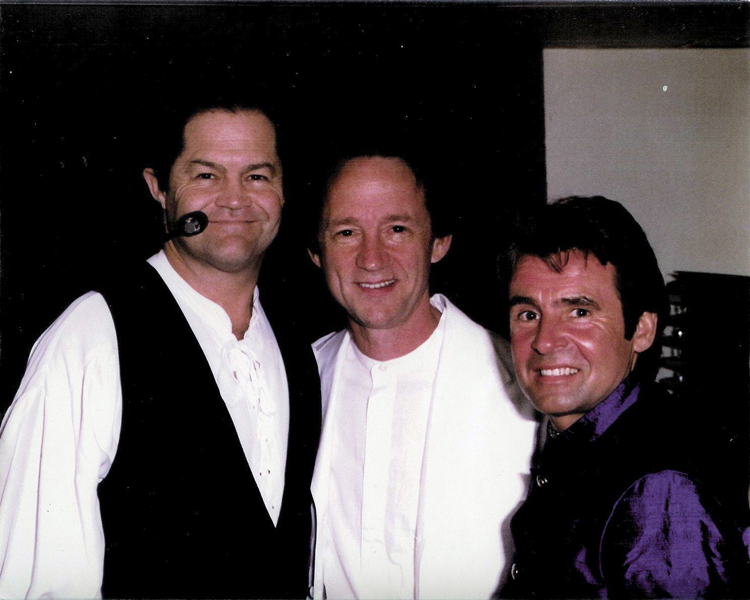 I was 12 years old when I heard that The Monkees would be coming to my town! I was so excited!! A store in our mall was carrying all kinds of Monkees merchandise and had a big sale so my mom took me out and I bought one of everything! An inflatable pillow, a bobblehead, a lunchbox, all kinds of things- even a director's chair just like the guys had for their show! I had been watching reruns on television all summer getting ready for the big day... and I almost missed it! I caught walking pneumonia the week before the show, but luckily I got better just in time to go! My mom and I went to the show, a big outdoor deal at an annual event in our town called Funfest. The crowd was huge and the evening was fantastic!! We had so much fun, singing along and watching the guys put on an amazing show! I bought a picture of the guys, the one on the left there, and I carried that thing around with me all over the place and showed it to everyone! I even found a shiny, purple silk shirt like Davy was wearing that was about 3 sizes too big for me and wore it around like I was the coolest thing since sliced bread. Since then, my love for the Monkees has only grown...I can't wait for the tour this year!! Mom and I have our tickets for June 8 in Glen Allen, VA. and we're counting the days!